Mary Zimmerman directs a lavish revival of Leonard Bernstein’s classic musical, featuring a company of more than 40 actors and musicians! Two sisters. One incredible city. Unlimited possibilities. Join Ruth and Eileen Sherwood as they leave behind their mundane Ohio lives in pursuit of making it big in New York City. 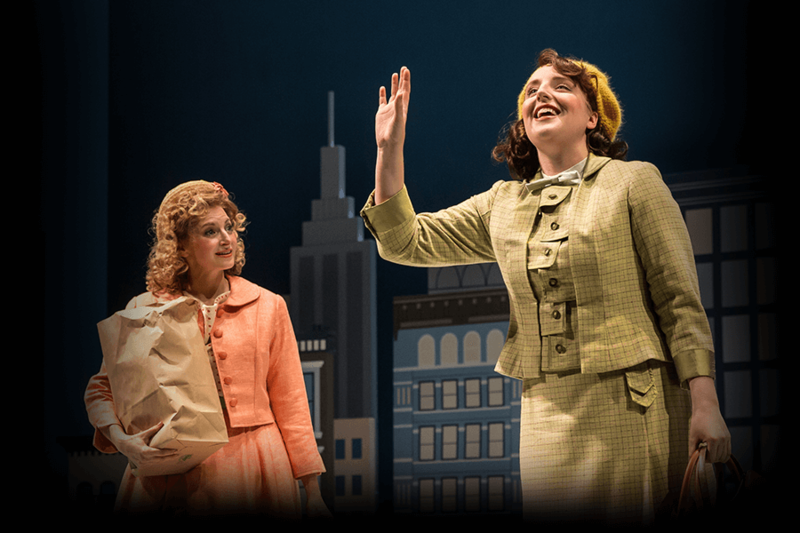 Chock-full of swinging show tunes, breathtaking choreography and effervescent charm, Wonderful Town captures the thrill of chasing one’s dreams like no other musical. "The funniest show Mary Zimmerman ever has directed among her huge body of work in Chicago"
"A fizzy, festive champagne cocktail of a musical"
"Flawlessly cast, wittily staged and delightfully designed"
"This is one you'll hate yourself for missing"
"A musical love letter to a town that was probably never so wonderful as depicted here"